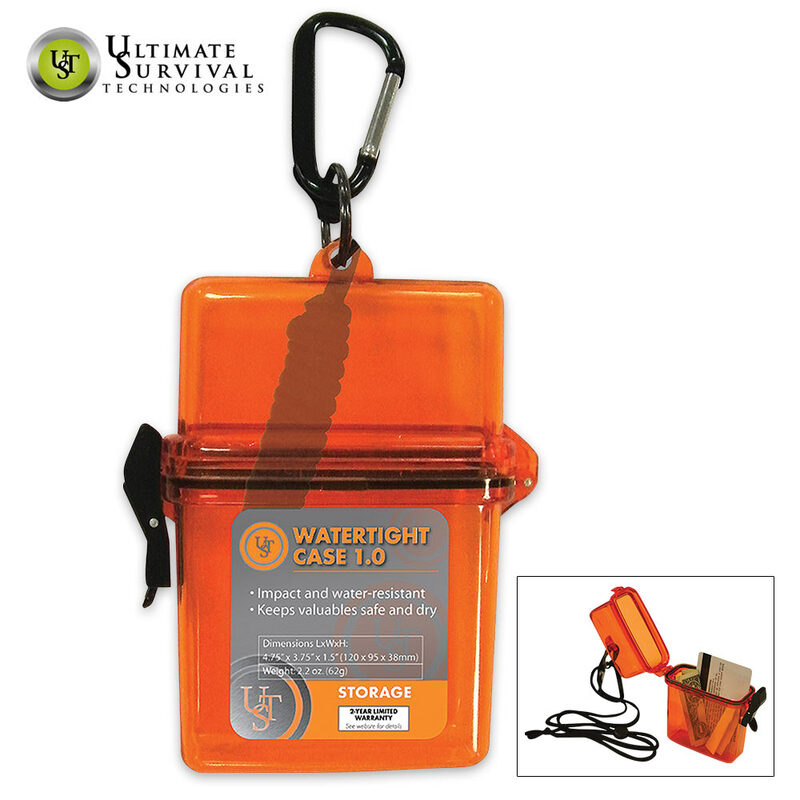 UST Watertight Case 1-0 Orange | BUDK.com - Knives & Swords At The Lowest Prices! Whether you’re at the beach, lake or river, you need something to keep your valuables dry! The Watertight Case is great for your keys, credit cards, cash and jewelry. It is a bright orange shatterproof, polycarbonate case with O-ring seals for durability and water-resistance. A lanyard and carabiner are included.